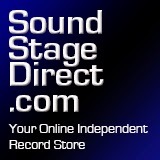 A hearty thank you to Seth over at SoundStageDirect for renewing their ad on the blog. SoundStageDirect has been with me since the beginning (2007) of the blog and it is an honor to have them back for another year. Please stop by their site to check out the new site design and new products they are offering. Fair deals with superior customer service and an A+ rating from the CVR blog! Talking with Seth from SoundStageDirect over the weekend and he has graciously given me one Led Zeppelin Mothership Vinyl Set to give away to a lucky blog reader. It's very simple to enter, just email me at rbenson30@wi.rr.com with the words "SoundStageDirect Led Zeppelin Mothership Vinyl Contest" in the subject line and you are entered. Limit one email entry per person. Contest will end Feburary 7, 2014 at noon and the winner will be chosen via a random drawing of all qualified email entrants. Good luck and special thanks to SoundStageDirect for the fantastic prize!! It's rare that a group can truly rock today's world, but the arrival of 'Mothership,' the first-ever comprehensive 4LP Led Zeppelin compilation qualifies. Produced by Jimmy Page and mixed by Kevin Shirley, 'Mothership's' 24 monolithic tracks were selected and sequenced by the band, who also oversaw the painstaking remastering. Spanning their epic career, the unprecedented collection pulls immortal songs from all eight of the band's classic studio albums, one of the 20th century's most enduring bodies of musical work. Arguably the most influential and innovative rock band ever, Led Zeppelin has sold over 200 million records worldwide. They continue to inspire successive generations with their passionate, groundbreaking, genre-transcendent, mystic, heavy and blues-infused rock 'n roll. Forty years since they formed, the song indeed remains the same. This release features new liner notes by David Fricke and cover designed by noted Los Angeles artist Shepard Fairey.